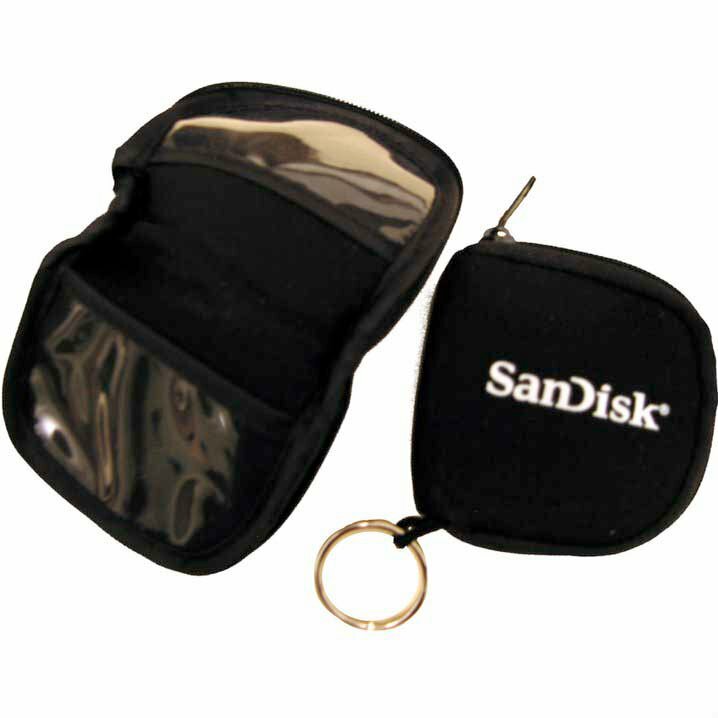 The black nylon CompactFlash case from SanDisk has two compartments to hold two CompactFlash memory cards. The case opens and closes via a zipper, and it features a keyring for conveniently attachment. SanDisk logo silkscreened on outside. Keyring allows easy attachment to Camera Case, etc. All specifications and prices subject to change without notice. All trademarks and trade names referenced are properties of their respective owners. © Copyright 2011 EverythingHerePlus.com, all rights reserved.